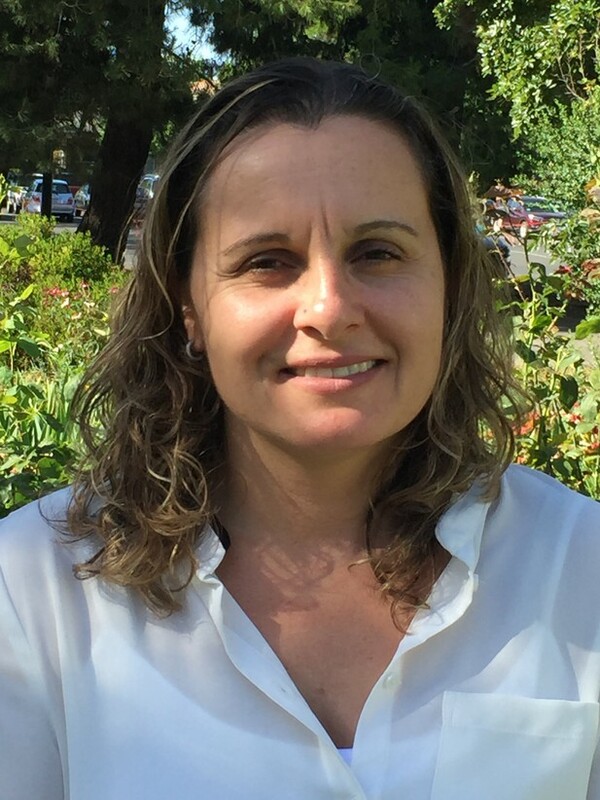 For many years plant scientist Monica Alandete-Saez assumed that she would spend her whole career in academic research, but a desire to interact more directly with other sectors of society led her to explore other options. She now works for PIPRA, a small not-for-profit technology commercialization organization based on the campus of the University of California Davis. Monica Alandete-Saez. Image credit: Mily Ron. I was always intrigued by science, especially the life sciences and how organisms evolved during the history of Earth to become our present communities and ecosystems. What did you love most about academic research? I loved the creative and talented atmosphere of the lab, and the excitement I felt before knowing the results of an important experiment. In retrospect though, I wouldn’t have spent four years working as a postdoc. I would have made the transition out of the academic environment earlier. My time as a postdoc didn’t add any valuable skills that I hadn’t already developed during my PhD. I think that if you’re interested in pursuing a non-academic career, you should aim to get your PhD (and the advanced technical training and professional maturity that it develops) and then transition immediately after. Why did you stay in research for so long? Rather than choosing to stay in academia, I just followed the “expected” and most common steps after you finish a PhD, and so I did a postdoc. It was during my second postdoc that I realized I didn’t want to stay. Then, through the university careers service, friends and my own searches I found out about career paths I wasn’t aware of in grad school, including of course intellectual property management and technology transfer. You joined PIPRA as an Intellectual Property Analyst in 2009, after the end of your second postdoc. How did you first hear about this position? I saw it advertised online when I was looking for non-academic jobs. I was interested in the topic of intellectual property but didn’t think I’d end up working in technology commercialization. The work PIPRA do in the developing world particularly appealed to me. PIPRA offer a variety of training and capacity building programs in the areas of intellectual property (IP) management and technology transfer. To begin with, we worked mainly in agriculture biotechnology, but now also cover technologies in other sectors: energy, water management, biotechnology. We believe that strategic IP management can help to bring inventions developed in university labs to the market, which could have a great impact in society. Who are PIPRA’s programs aimed at? Our target group is usually scientists and technology managers in research institutions, but we also sometimes educate policy makers, private sector personnel and farmers. We present our programs nationally and internationally, targeting developed and developing countries. What does an Intellectual Property Analyst do? I guess that depends on where the IP analyst works... In my case, my responsibilities were to analyze the intellectual property space (mainly patent documents) related to specific technologies that aimed to enter the marketplace. In other words, to identify potential IP barriers (patents) that could delay or block the commercialization of a specific technology in a specific country. What training is required to become an Intellectual Property Analyst in the US? The most common route to becoming an IP professional is to first finish a technical training program and then undertake legal training such as the patent bar or a law degree. It is less common to do it the other way around. In the life science space these days it’s preferred that you have a PhD, although in the chemistry, engineering and information technology space a bachelor’s degree is usually fine. When did you do your legal training? During 2013-2014 when I became a patent agent, and through the numerous IP protection courses I have undertaken since I joined PIPRA in 2009. How easy did you find the transition out of research? It wasn’t easy at all. The first year I felt very lost and confused. I was lucky though because the team at PIPRA understood that I was facing a steep learning curve and gave me the time and support to reach a point where I finally felt more comfortable. You’re now the director of Analyses and Outreach at PIPRA. How did you work up to this position? I worked hard and took every possible intellectual property training course I ever found or a colleague recommended. Eventually, one of the Directors at PIPRA accepted another position in the East Coast, leaving an opening that I filled. I am in charge of implementing PIPRA’s education and analysis platform of international intellectual property (IP) management services. I supervise the PIPRA staff as we develop the programs that will be offered throughout the year in the places where our partners are located. In 2016 we have scheduled programs in Mexico, Chile, Thailand, Peru, Ecuador and Pakistan. I also supervise the commercialization strategy reports that PIPRA provides, and I maintain and create alliances on which future collaborative projects can be based. To give us an idea of your typical working day, please tell us what you did yesterday. I had an early call at 8:00AM with our partners at the Center for Advanced Studies in Pakistan to plan an upcoming visit to the UC Davis campus. I did some emailing the rest of the morning, then after lunch I had a meeting related to the two-week “Licensing Academy” program offered every summer at UC Davis by PIPRA and the School of Law. I supervise all the planning and organization on the program, and I am in charge of identifying sponsors who might provide financial support so that we can offer scholarships to professionals in the developing world. I also met with a colleague to discuss a proposal we are working on that we plan to submit to a Mexican agency to promote the commercialization of technologies in the agricultural biotechnology space. Which aspect of your job do you find most rewarding? Knowing that we are helping developing countries to create an innovation culture that could benefit society and also help move many small farmers out of poverty. And what is the biggest downside? There is no downside to the kind of work I do… the only difficult aspect of it is the constant effort towards raising funds to support our programs. We are 100% based on soft funding so I need to constantly write grants to help keep the team working. Also, business trips sometimes keep me away from my family. What was the most important thing you learnt from research? Learning that getting negative results out of an important experiment it doesn’t mean that you’re a bad scientist – it means you are one step closer to discovering something big. You get accustomed to redesigning your biological questions over and over throughout your PhD. Now, when I’m preparing a funding proposal, I often have to “polish” it multiple times before the sponsor approves it. And from the technology commercialization perspective, the first version of an invention usually requires significant changes to address production limitations and meet customer needs. What’s next? Where do you see yourself in five years’ time? I see myself working in PIPRA for another 3-4 years. Then I’d like to continue working in technology transfer or technology commercialization, but maybe in a bigger organization. I love spending my free time with my 5 year-old daughter and my wife, and going camping with them when time allows. I also like jogging and reading. Do you now find it easier to get the work-life balance right than when you were a postdoc? It’s easier now. When I was a postdoc I spent far too many hours in the lab trying to move forward the endless experiments I had in the pipeline. Would you recommend that early career researchers develop an interest in intellectual property? Absolutely. It is an expanding field in the sense that in the near future every single university will have a technology transfer office, which will require people with the advanced technical knowledge that you gain from a PhD to get involved in IP management and commercialization matters.